The classic films produced by Hollywood independent Samuel Goldwyn are currently revisiting us on Talking Pictures TV. 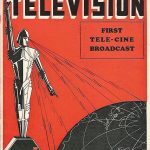 Now therefore seems a good time to assess the treatment by television of this important library, which played a crucial role in helping to make cinema films more readily available to British broadcasters. Between 1923 and 1959, Samuel Goldwyn produced 80 feature films for his own company, Samuel Goldwyn Inc. (later Samuel Goldwyn Productions Inc.). Most of the 18 silent features are considered lost and only one, The Winning of Barbara Worth (1926), is currently available on DVD. None of these has ever been shown on British television. Of the 62 sound features, three seem to have slipped into the public domain and have also never been broadcast: Street Scene (1931), Tonight or Never (1931) and The Greeks Had a Word for Them (aka Three Broadway Girls, 1932). 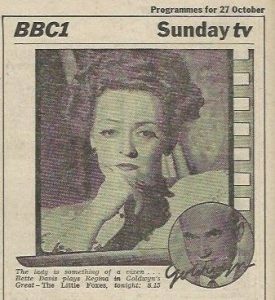 Goldwyn’s final production, Porgy and Bess (1959), is currently (legally) unavailable because the Gershwin property rights have lapsed; it has been broadcast only once, in an abridged version, by BBC One on Boxing Day 1973. Another film, The North Star (1943), was sold to a third-party distributor for reasons to be explained in due course. The remaining 57 titles constitute the Goldwyn library for broadcast purposes. All these have been shown on mainstream UK channels, some rather more often than others. From 1964 onwards, the library passed in succession through ITV, the BBC, Channel Four and ITV again. Some films also appeared on the long-defunct Carlton Cinema cable channel. Talking Pictures TV now has the bulk of the collection, except for seven titles that have been screened annually by the BBC since 2013: Wuthering Heights (1939), The Westerner (1940), Wonder Man (1945), The Secret Life of Walter Mitty (1947), The Bishop’s Wife (1947), Hans Christian Andersen (1952) and Guys and Dolls (1955). Although many of the Goldwyn films have been released on DVD by MGM/UA in the United States, and some of the TV master copies carry the MGM/UA logo, only Guys and Dolls was released theatrically by Metro-Goldwyn-Mayer. The presence of Goldwyn’s name in the latter company title has led to the common misapprehension that Goldwyn himself had a stake in MGM. In fact, this was never the case. When it was founded in 1924, MGM absorbed the Goldwyn Pictures Corporation, in which Goldwyn had been an active participant, but only after the producer himself had left it to go independent. Famously, Goldwyn – formerly Samuel Goldfisch or Goldfish – had taken his own name from the company that he co-founded with Edgar Selwyn and others, thereby cheekily implying that it was his exclusive property. As an independent producer controlling his own library, it was up to Goldwyn to decide whether to sell or lease his films for television broadcast. In the United Kingdom in the 1950s and early 1960s, broadcasters were effectively prevented from acquiring the films of active producers and distributors because of opposition from the film industry, led by cinema owners who in 1958 had formed the Film Industry Defence Organisation (FIDO) to oppose the sale of British films to the BBC and ITV networks. Although American companies were not directly affected by this, the major Hollywood studios went along with it, declining to sell their backlogs to British broadcasters even after they had done deals with their American counterparts. Only films whose rights had been sold on to third-party distributors (including the pre-1950 Warner Bros. library and those made by the defunct RKO Radio) made it through the blockade. Producers who sell to TV are just kicking their own industry in the teeth. Goldwyn made quite a lot of money out of his pictures in the past – now, by selling them to TV, he may be helping to destroy the cinema today. Some of the films may have been great – at the time they were made. But show them now and they are awful. TV will bill them as great epics, and people will stay at home to see them: younger people because they have heard tell of names like Eddie Cantor; older people out of sentimental interest, perhaps. But, after seeing them on TV, they’ll think – the younger people, especially – ‘Heavens, is that the best that films can do?’ And they’ll go to the cinema even less than they do now. The action flies in the face of the economic fundamentals upon which trade and industry in your country as well as in ours are based. A boycott such as has been recommended is nothing short of an attempt at economic blackmail which cannot be condoned in any society which believes in free competition. Faced with both this resistance and a concurrent deal struck by the BBC for a large package of pre-1949 Paramount films, exhibitors had little choice but to back down. In September 1964 the CEA agreed a new rule: that the sale of cinema films to television would not be opposed so long as at least five years had elapsed following their theatrical release. 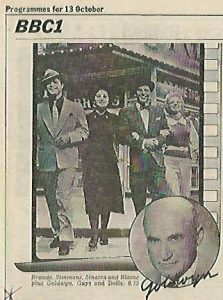 The first Goldwyn title to be broadcast was The Secret Life of Walter Mitty, shown by ATV in the Midlands on 22 October 1964 and subsequently in London on 31 January 1965. This also caused controversy, albeit of a different kind. The Midlands screening was scheduled between 9.40pm and 11.45pm on a Thursday, with a short interruption for the news headlines. Allowing for commercial breaks and ‘PAL speed-up’ (the fact that cinema films run fractionally shorter on television because of the different frame rates of film projection and video transmission), this was long enough to accommodate the entire 110-minute film. 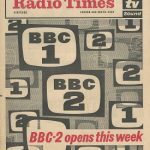 But the London showing had only a 95-minute slot, also including the news headlines and ad breaks, from 7.25pm to 9.00pm on a Sunday immediately prior to a live networked show. According to Leslie Halliwell, who later became the ITV network film buyer, Lew Grade had personally ordered three of the film’s seven daydream sequences to be cut, shortening the broadcast time by a total of 27 minutes. Complaints duly flooded in from disappointed viewers who recalled seeing the complete film in cinemas. The Goldwyn films were never nationally networked on all ITV regions simultaneously. Instead, they were syndicated to the local contractors who scheduled them as they saw fit, often showing them under rubrics such as ‘Goldwyn’s Greats’ or ‘Samuel Goldwyn Presents’ in extended seasons (Granada’s in Northern England lasted seven months). The regional stations were selective, tending to ignore some of the older and lesser-known titles and giving priority to the obvious classics and vehicles for still-popular stars. Even ATV, with its two franchises, seems to have overlooked some films, including Woman Chases Man (1937), which was broadcast in neither London nor the Midlands. On the other hand, The Pride of the Yankees (1942), starring Gary Cooper, and The Bishop’s Wife, with Cary Grant, were shown everywhere (except possibly by Ulster Television in Northern Ireland, for which I have very little information). The last broadcast of a Goldwyn title under the Grade deal seems to have been a repeat run of Ball of Fire (1941) by ATV on 18 October 1969. 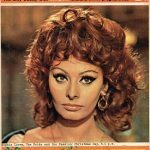 None of the films had more than two transmissions on any local station: the commercial network’s regulator, the Independent Television Authority (ITA), discouraged repeats unless they were exceptionally merited. Again according to Halliwell, although individual films attracted local viewers in huge numbers – he claimed that The Best Years of Our Lives (1946) achieved a record audience share of 72 per cent in one of its early showings – the Goldwyn films generally were seen as somewhat disappointing in ratings terms. For the next four years the Goldwyn library was absent from British television until a new deal was struck by the BBC in 1973, involving a package of 32 selected films. These included four titles that had not previously been shown by ITV: Dodsworth (1936) and the producer’s three most recent films, Hans Christian Andersen, Guys and Dolls and Porgy and Bess. Hans Christian Andersen and Porgy and Bess, along with Wuthering Heights, were first broadcast at Christmas 1973. 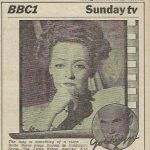 Goldwyn himself died in January 1974 and the following Autumn BBC One presented a nine-week tribute season under the title ‘Goldwyn Greats’. The first three titles – Guys and Dolls, The Westerner and The Little Foxes (1941) – were scheduled in peak-time slots on Sunday evenings, the rest on Sunday afternoons. There was also an edition of the arts series Omnibus on ‘The Goldwyn Touch’. 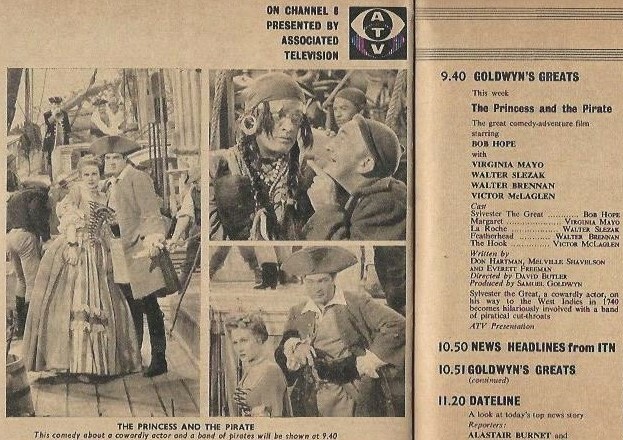 The advent of colour television meant that a number of films originally made in Technicolor but previously broadcast by ITV only in black and white – five Danny Kaye vehicles plus Eddie Cantor in the part-colour Kid Millions (1934) and Bob Hope in The Princess and the Pirate (1944) – were televised in colour for the first time on the BBC. Its lease lasted until 1980, but most of the Goldwyn films were shown only once and a mere handful (Wuthering Heights, Walter Mitty, Hans Christian Andersen, Guys and Dolls) three times. Two films included in the package were not shown at all: The Wedding Night (1935) and Strike Me Pink (1936). This time, however, the library did not remain on the shelves for long. Leslie Halliwell acquired the Goldwyn films for the new Channel Four, which began broadcasting on 2 November 1982 with the remit of providing an alternative to the existing networks. A season entitled ‘Samuel Goldwyn Presents’, mainly scheduled at 10.00pm on Sunday nights, began with Wuthering Heights on 14 November and ran more-or-less continuously for the next seven months. The screenings were introduced by Samuel Goldwyn, Jr., himself a film producer, who controlled his father’s legacy. Included in Channel Four’s package were four titles that had escaped both ATV and the BBC, presumably because they were considered too old: Bulldog Drummond (1929), the first version of Raffles (1930 – Goldwyn’s own 1939 remake having previously been broadcast), Whoopee! (1930) and Arrowsmith (1931). The last three of these were not transmitted until 1984 but Channel Four continued showing Goldwyn films well into the 1990s. Many of them were shared with ITV, whose local schedulers typically placed them in late-night or weekday-afternoon slots. The last remaining Goldwyn film to receive its British broadcast premiere was one that the producer seems to have disowned because of the hostile political atmosphere of the postwar years. 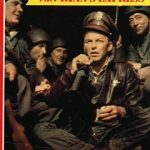 The North Star had been made as a World War II propaganda film to help persuade American audiences to sympathise with their Soviet Russian allies, but in the anti-Communist fervour of the late 1940s and 1950s it was one of several wartime films branded un-American. 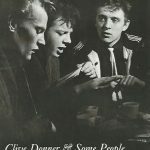 Stung by the criticism, Goldwyn (who had been born in Warsaw, Poland) sold The North Star to the television distributor National Telefilm Associates (NTA), which recut the film to remove its pro-Soviet sentiments and retitled it Armored Attack for U.S. television distribution and theatrical reissue. However, it remained absent from UK TV screens in either version until acquired by the BBC in 1993. It was first shown, in its full version under the original title, by BBC Two on 7 January 1994. A t time of writing, 27 Goldwyn films have been scheduled by Talking Pictures TV since November 2016, including a mini-season of seven Ronald Colman vehicles made between 1929 and 1933 (discussed here). In previous broadcasts, these and most of Goldwyn’s other films from the early years of sound have been shown with their original credits removed and generic title sequences, made expressly for television presentation, inserted instead. However, Talking Pictures TV has been showing restored versions with the authentic credits intact, reinstating exclamation marks previously deleted from the titles of Condemned! (1929) and The Devil to Pay! (1930). Missing so far are any of the six Eddie Cantor films Goldwyn produced from 1930 to 1936, which though hugely popular in their day have only rarely been revived on British television: Whoopee! (made in two-colour Technicolor), Palmy Days (1931), The Kid from Spain (1932), Roman Scandals (1933), Kid Millions and Strike Me Pink. But it’s early days yet, as we wait to see what more long-neglected riches Talking Pictures TV’s Goldwyn deal will bring back. 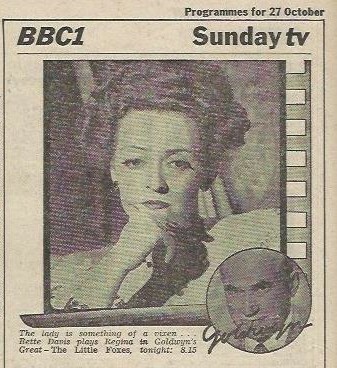 See page 2 of this article for a full filmography of Goldwyn sound features, along with the dates of their first UK TV broadcasts.